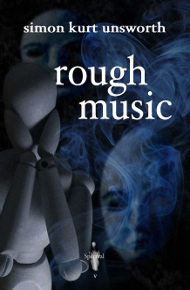 Once again, Mark West has produced a lovely video book-trailer to go with the latest Spectral chapbook, Simon Kurt Unsworth’s Rough Music, which is due to be launched upon the world at the end of February/beginning of March 2012. This one has, unfortunately, sold out already, but you can still get yourself a subscription (for 1, 3 or 5 years) to ensure that you receive every subsequent issue of this critically-acclaimed series of chapbooks – and Paypal buttons have been provided for your convenience down the right-hand side of this blog. The Spectral/This Is Horror Short Story competition closes tonight at midnight GMT (31st January 2012)!! Glide on over to the This Is Horror website for all the details! !